Jane specializes in communications, technology, outsourcing and strategic procurement matters. She advises corporate clients in the negotiation of large-scale wholesale and retail contracts for telecommunications services and other complex technology and telecommunications transactions. These include telecommunications services agreements, managed services, dark and lit fiber agreements, undersea cable arrangements, strategic alliances, technology development and joint ventures. Additionally, Jane has assisted clients in connection with major outsourcing transactions involving IT and telecommunications, contact center and managed services. Jane's expertise also includes representing customers and vendors in connection with strategic procurement transactions, including acting for a large US cable MSO in its set-top box, cable modem and cable telephony procurement contracts. Jane's practice in these areas has involved major transactions in North America, Asia-Pacific, and Europe. Before co-founding Levine + Associates LLC, Jane was a partner with the U.S. law firms of Cooley Godward LLP and Patton Boggs LLP, and with Allen Allen & Hemsley in Sydney, Australia. While in Sydney, Jane served for a number of years as a judge on the Commercial Tribunal of New South Wales and was an Associate Professor of Law at the University of New South Wales. 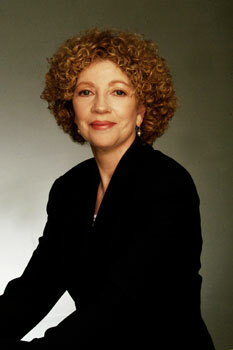 She also was an advisor to the Australian Government on antitrust and technology matters. Jane received her J.D. from the University of Chicago and her A.B. from Duke University. Jane is admitted to practice in Colorado, New York and New South Wales, Australia.